I know what you’re thinking – spring break? It’s still winter! I know, right?! But how do you argue with the School District planners? Oh well – I just go along, and enjoy the time. Today I’m back with another sketch challenge for Create with Connie & Mary – these are such fun! By the way – I have to share with you (a ‘humble brag’, as my teenager would say!) that my card submitted for the last CCMC challenge was one of the Top 3 Picks! 🙂 I was totally thrilled to find out; it made my day! I liked that this layout was different, using a square card, as I usually do standard A2 cards. I had just recently received my Adventure Bound Paper Stack, and really wanted to use it. It’s a very unique paper; it has photo-realistic prints on one side, and then patterned paper, like our usual designer series paper, on the other. I think that the river rocks & bleached wood look good with the stamp set I used – it’s called Choose Happiness, and you can find it in the Annual Catalogue. My card base is cut 5″ x 10″, scored at 5″ and folded, in Basic Gray card stock. I randomly stamped the line images from the Gorgeous Grunge set in Smoky Slate onto a panel of Smoky Slate card stock. I wanted to have some texture on the panel, but I felt that an embossing folder would have taken away from the stamped images & the DSP. Before attaching the Smoky Slate panel to the card base, I attached a piece of 3/8″ Stitched Satin Ribbon in Lost Lagoon diagonally across the lower 2/3rds of the panel, as in the sketch. Next, I punched out the 2 pieces of Adventure Bound DSP using the 2″ and 1 3/4″ Circle Punches, and used the 2 1/2″ Circle Punch for the Very Vanilla card stock. I stamped the branch image twice, in Memento Black ink; once directly onto the punched circle, then again onto a scrap piece. I coloured both using the Old Olive Blendabilities Markers and my Crumb Cake Stampin’ Write marker. I cut out a few of the leaves from the scrap piece, and layered them on top of the ones on the circle, to give them more dimension. I stamped the bird image in Memento Black ink, again on a scrap of Very Vanilla, hand-cut it, and attached it on top of the branch using Stampin’ Dimensionals. The flower image is from the Everything Eleanor stamp set, as I felt that the scale of the flower in the Choose Happiness set wouldn’t work with my layout. I used a combination of the Lost Lagoon Marker and the ink with a Blender Pen to colour the flower. Previous Previous post: It’s all in the Presentation…. Beautiful cards! Congratulations on your Top 3 for last week – very well deserved!! 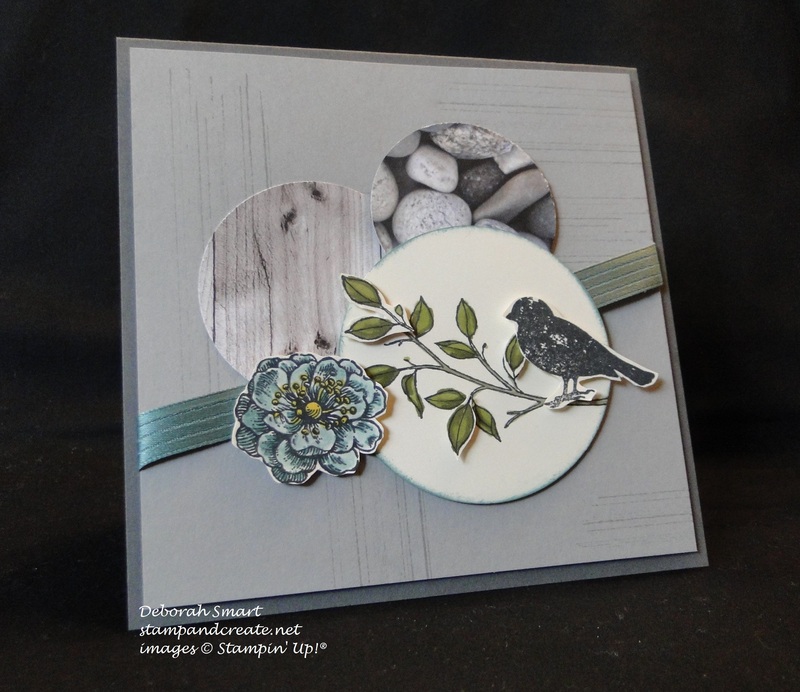 I love your sketch challenge card – so much texture….and I love the natural elements that you included with your circles. Many thanks for your congratulations, Alison! I really was thrilled 🙂 I’m glad you like the elements I included in this card; it was fun to put together. I’m really enjoying the CCMC challenges, and the fabulous inspiration from the design team – you’re all amazing! I LOVE your CCMC card! The Adventure Bound paper looks awesome withe the bird and branch. I also like the subtle detail stamping on your background. Very nice!!! I’m so glad you liked my card, Jenny! 🙂 Thanks for your kind comment. I love the combination of the realistic designer paper with the stamped bird and flower images…they look fantastic! You could use this card for any occasion. Thanks for playing the Create with Connie and Mary sketch challenge this week! I love all things nature so the combination of the paper and the bird and branch are especially pretty to me. That’s a great way to showcase the paper. Thanks for joining us again at Create with Connie and Mary! And congrats on being a Top 3 pick last week! What a fabulous combination of stamped images and photo images! You put them together beautifully, and I love your color choices! Thank you for sharing your talent at Create with Connie and Mary! I love this calm and cool color combo and the nature elements are beautiful! Thank you for playing the sketch challenge and Create with Connie and Mary! I just love that realistic Adventure Bound DSP! 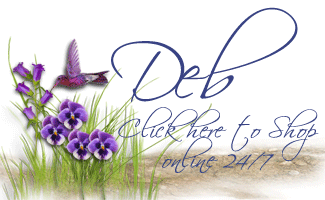 Your stamped bird and flower images look so great going along with it! Wonderful card! Thanks for playing along with the sketch challenge this week on Create with Connie and Mary! Your card is just beautiful! The combination of all the colors and elements from nature produce such a sense of peace and calm! Wonderful fussy-cutting! Thanks for joining us this week at Create with Connie and Mary! 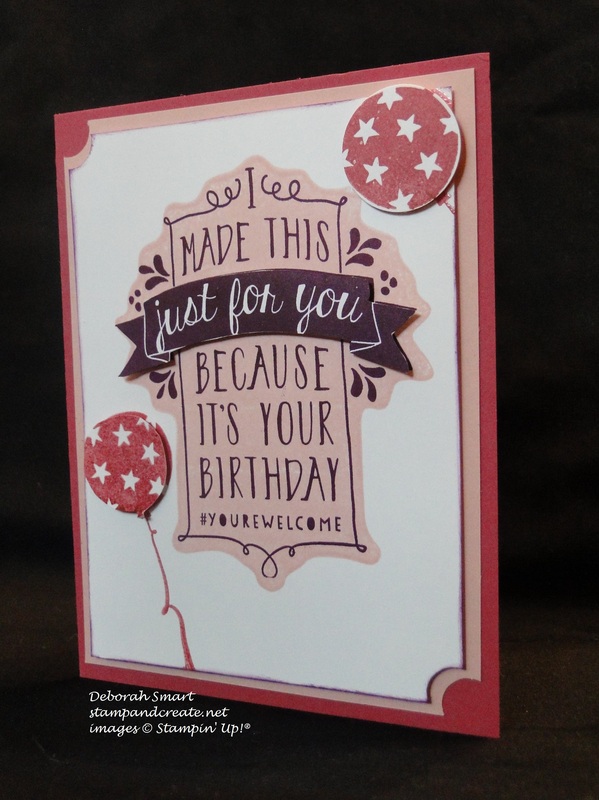 I love those DSP circles and the fussy cutting really makes this card.So calm and serene. Thanks so much for joining us this week at Create with Connie and Mary! Thank you, Joanne! I really appreciate you taking the time to leave a comment. See you again at Create with Connie and Mary!